We are a family run company working throughout London, Surrey, Sussex and Kent. We undertake one off treatment as well as contract works. We offer free telephone advice. 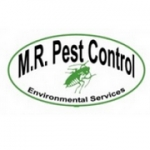 Is your business listed for Pest Control in Sutton?